Tanner and Megan’s pastor referred them to us for a Marriage Intensive. Unlike most couples who call, they had not experienced an affair or major financial mistrust in their eleven years of marriage. However, Tanner and Megan had lost that loving feeling, in fact, they did not have much like for each other anymore. Megan shared how Tanner was never fully present in the home, frequently leaving early for work and returning later in the evening after work and a work out. Tanner described how he had a great mother for his children and a wonderful room mate in Megan, but he had not felt loved or desired by here in years. Megan and Tanner’s relationship was a perfect example of how neglecting their marriage had eroded their love. We recently took a writing retreat in the Texas Hill Country. 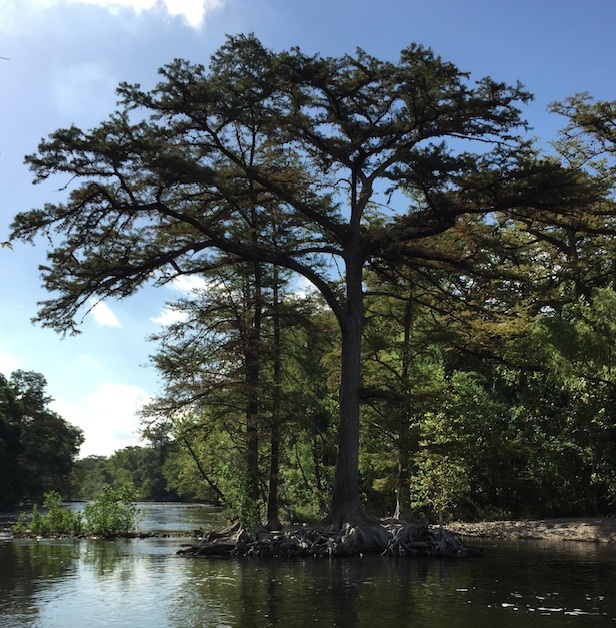 Sitting under a beautiful canopy of the leaves and limbs of a huge tree along the Guadalupe River, we noticed that a few feet of its many roots were exposed. It was apparent that the winding river and wind had eroded the fertile foundation soil that the tree’s sturdy trunk had grown in. It left the tree appearing vulnerable to a sure death in a future storm or heavy wind. Is Your Marriage Suffering From Erosion? Passion Is Missing. You miss the days when your spouse flirts and woos you. You can think of a long list of things you would rather do than make love with your spouse. Positive Interactions Are Rare. When you interact with your spouse, it is either neutral or negative. Your time together is filled with silence, conferences about household management, or criticisms. Absence Is Normal. You spend less time together. When you are together you are with the children or other family and friends. Marriage Is Off Your Radars. Neither of you seem to think about going on a date. Both of you are focused on priorities outside of the marriage, like parenting, career, recreation, money concerns, or causes. “What If …” Thinking. You wonder what it might be like to have an emotional or physical affair. You irrationally make comparisons about what it might be like if you had married someone else. You Don’t Like Your Spouse Anymore. You would rather not be around them. The very things you liked most about them in the relationship now annoys and irritates you. Marriage erosion happens when we stop doing the things we did that led to us falling in love. An eroded marriage is suffering from neglect, and left alone without action, will lead to significant marriage trauma (affair or financial mistrust) or death (divorce). The good news is that we have witnessed hundreds and hundreds of couples recover and repair marriage erosion. Prevention and repair of marriage erosion happens by taking action to create the marriage you want. Occasionally marriage erosion takes a third party professional to help the marriage recover. If you tried some of these activities without much success, or believe trying them would not help, it is a sign that you need to seek a professional. We would love to help you. A phone assessment at 281-894-7222 would help us understand how we can best help you. We also always encourage couples who need help to seek out your Minister, a Christian marriage coach or Christian marriage counselor as soon as you believe you might need help. Do not wait until your marriage implodes. Seek help now. We always love to hear from your readers. What other helpful hints for couples do you have? If you tried these and your marriage is rooted on solid fertile foundation again, tell us what worked best.